Three missionaries decided that their path to missionary work in Tanzania would lead over the rooftop of Africa, aka Kilimanjaro! Laura Degitz, Jane Wallace and Bob "Ski" Szalkiewicz are going to help Love and Mercy Coalition founded by Mary Dawn Reavey. LMC has many projects to help with nutrition and education to over a thousand kids in Tanzania. The three trekkers will also join up with three other missionary friends Bea Espinola and Catherine and Woody Barley at LMC after their climb. 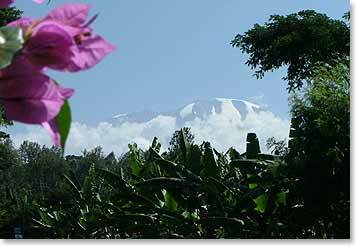 Laura, Jane and Bob head for Africa and Kilimanjaro on March 12th. They will be bringing prayer flags and a token of their Cursillo community to the top of Uhuru Peak on Holy Thursday! Asante sana Berg Adventures for your help in making this dream come true and treating our little party of three like a big expedition! March 23, 2008 – Tarangire and Happy Easter! March 19, 2008 – Summit Success, Sheerrraaa!